The American Human: Donald Trump's Conflicts-of-Interest Mount. His Response? Cancel Press Conference on His Plan to End Conflicts. 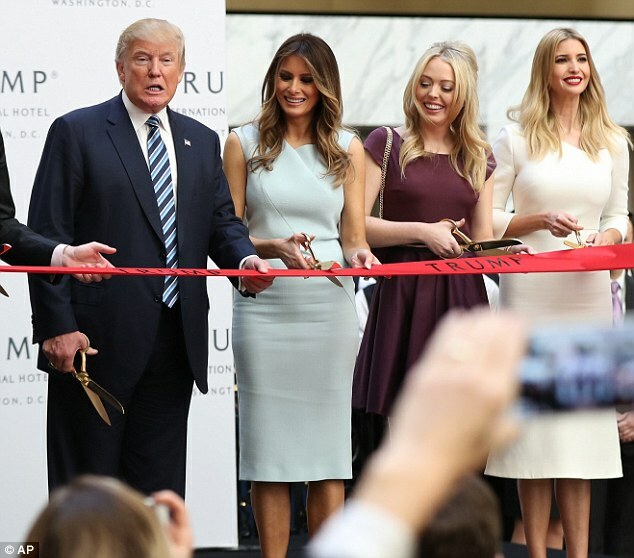 Donald Trump's Conflicts-of-Interest Mount. His Response? Cancel Press Conference on His Plan to End Conflicts. Pipe dreams of an Electoral College revolt aside, Donald Trump will become president, and a Republican Senate will probably approve ALL of his nominations. The only place to "get him" is in his business dealings. if Trump appointed himself to head the agency. That's right, the lease Donald Trump holds on the U.S. Post Office where he developed his D.C. hotel disallows any officeholder from being a party to the lease. Even if somehow he could remove his name from the lease and put a son or daughter in charge, it would still require the first lease to be revoked. Now, here's the really funny part: What happens when he refuses to do the right and legal thing under contract law? In their letter, Democratic lawmakers asked whether Trump could appoint a new senior counsel or administrator for the agency who could alter the current interpretation of the lease. Of course you'd be right to assume he'll take this whole mess to court rather than do what generations of presidents have done. Now, imagine that court fight times ten or a hundred or a thousand. There are so many potential conflicts of interest that much of his early presidency will be taken up with it. Let's get ready to rumble! Oh, and yes, he canceled his press conference on how he was going to solve his conflicts of interest. Hmm. What does that tell you?